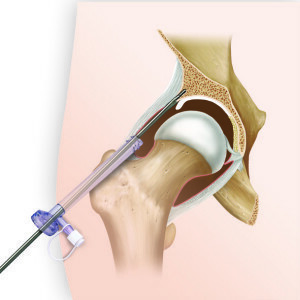 Hip arthroscopy, which at one time was once not performed as often as shoulder or knee arthroscopy, is quickly becoming a common procedure. In the past few years, there has been a rise in professional baseball players receiving the surgery. Alex Rodriguez, third basemen for the New York Yankees, underwent the procedure in 2013 to repair a torn labrum after years of gradual limited mobility and a few injuries to the hip. Former Colorado Rockies player, Todd Helton, suffered from a degenerative back condition and eventually had hip arthroscopy to repair a labral tear in 2012. His former teammate and current Colorado Rockies short stop, Troy Tulowitzki, who suffered from a degenerative back condition, complained of persistent groin pain. Upon examination by the Rockies head trainer, Keith Dugger, it was revealed that Troy, too, had a labral tear. After undergoing hip arthroscopy he was forced to miss the remainder of the 2014 MLB season in order to recover. Tulowitzki is expected to need four to six months to heal completely. After extensive physical therapy, Tulowitzki is expected to make a full recovery, and will be able to play without any physical limitations moving forward. Hip surgery is recommended after nonsurgical treatments such as rest, physical therapy, medications, or injections that reduce inflammation, are ineffective in relieving groin pain. Before undergoing arthroscopy, a physical examination, full medical history, and tests, such as an MRI, will need to be performed to further assess if there are any problems that could interfere with the surgery. If there are more health risks involved, than a more extensive evaluation may be required before surgery can be executed. This surgery requires the leg on the side of the injured hip to be put in traction. The leg will be pulled away from the socket for enough space to allow the surgeon to insert instruments that enable full view of the entire hip joint. Once traction is set, the surgeon proceeds to make buttonhole size punctures in the hip in order to insert arthroscopic tools, which allows the surgeon to see the inside of the hip and find the damage. The surgeon will insert other instruments through each incision made if need in order to smooth torn cartilage or repair it. 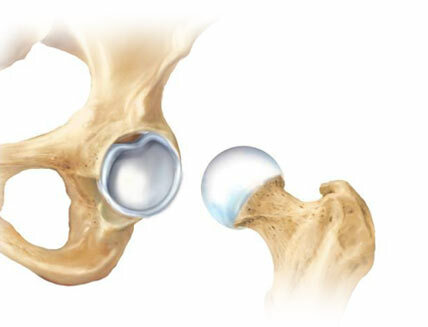 The orthopedist can also trim bone spurs that are caused by Femoroacetabular impingement (FAI), and remove the inflamed synovial tissue. Following the surgery, the doctor formulates a rehabilitation plan, which involves surgical recovery, then a plan for physical therapy once the limping is gone and the wound has healed. Physical therapy is needed to help achieve the best possible recovery from the surgery. This will include exercises that will help restore the strength and mobility in the hip, along with teaching the patient stretches and minor repetitive movements to do at home to continue building strength. In most cases, a full recovery is made and the patient can resume activities… However, in some situations it may require a few lifestyle changes to ensure protection of the joint and also to prevent any further injury or reoccurrence. In a few cases, the damage can be too severe to be completely fix or reversed. If you are suffering from groin or low back pain that has not improved despite many measures, it is possible you have unrecognized FAI. Contact the sports medicine specialists at Orthopedic Surgery San Diego today for an evaluation or second opinion to understand the treatment measures that can best alleviate your pain.